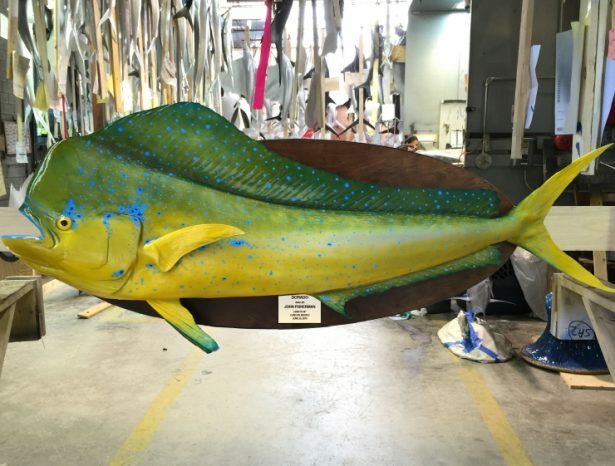 One of the most beautiful fish in the ocean to ever have a replica made of is the dolphin, dorado or mahi mahi. Photo’s courtesy of Gray’s Taxidermy. If you are like us, you want the best quality fish mount you can get, for the lowest price possible. Mounting fish can get real expensive, if you catch a real big or trophy fish if you don’t know how it all works. Through our connections in the charter fishing industry, we have worked out a deal to give our anglers the lowest price fish mounts in the industry. 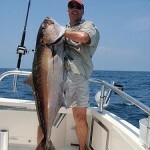 We can have your saltwater trophy fish mounted for a price that is lower than you will ever find in Orange Beach . Through our exclusive agreement with Gray’s Taxidermy, we are able to save you a bunch of money on any saltwater fish you catch or release. The reason you should have a fish replica made of your catch. 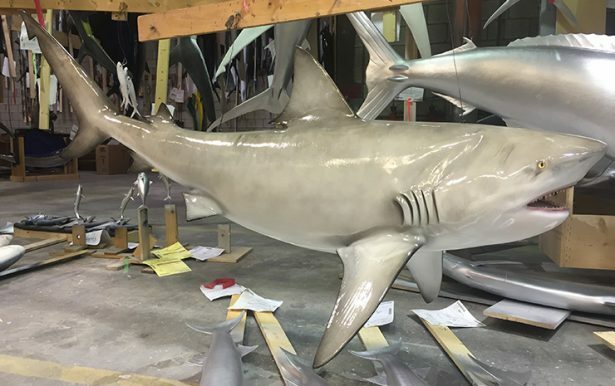 You don’t even have to harvest the bull shark in order to get a replica made. 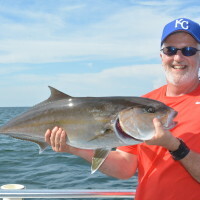 Everyone who has ever had a fish mounted, enjoys having someone ask them, “Hey, where did you catch that fish?” Every time you someone’s trophy fish, mounted on a wall, your immediate thought is, “cool,” then you think, “I sure would like to catch one of those.” Whether the you see fish replica’s at an office, a man cave, camp house, someone’s home or in some restaurant, we do envy the person who caught it, right? The one thing you need to know is, with freshwater fish like bream, bass, crappie, walleye and perch is, the taxidermist must use the skin and scales of the fish they mount. You don’t get to keep your fish. With saltwater fish mounts, taxidermist don’t even need the actual fish you caught. 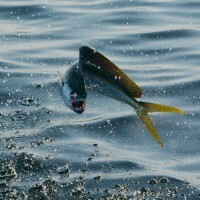 That’s right, saltwater species such as red snapper, shark, blue marlin, dolphin fish and tuna are all replica’s. 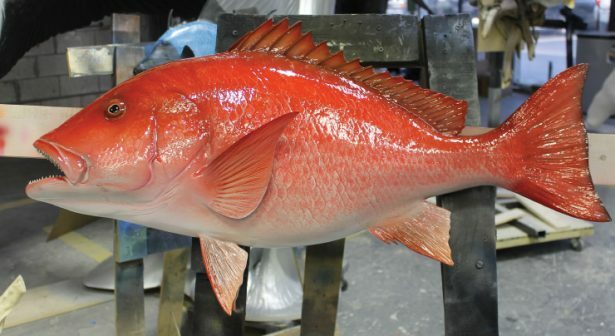 Red snapper make a beautiful fish mount. 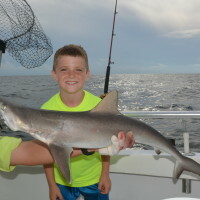 Since we mostly catch them here in Orange Beach, they are a logical choice for our customers to get mounted. With today’s conservation minded anglers, it is even more important to leave a few fish in the water. That is why we do our part and release most of the red snapper we catch each day due to short seasons and low bag limits. This way, future generation will have something to catch. This is what we call conservation minded angling or the right thing to do. We only take what we need, but we do take a lot of pictures of you and your trophy fish. For those of you who want a little more than a picture of the trophy fish, we offer a fish replica. The best part of it all is, we don’t charge as much as everyone else to mount your fish. So, it doesn’t matter to us if you caught your fish on our boat or your own boat. All you have to do is come see us at our dock between trips or after we get in, we will gladly help you fill out the order form and take your lowest priced deposit and you will be on your way to getting your trophy fish mounted. In about a month or so, you can pay the balance you owe to Gray’s Taxidermy and pay for shipping and your fish replica will be on your way. About Mounting Your Fish – How It Works? You can keep your fish and eat it if you like. If you are catch and release friendly, that is ok too! All we need to know is how long or how many inches your fish is, in order to get your fish replica made. When making a replica, come see us with the following information so we can fill out the order form and give you a copy. We will get the name of the species you caught and how many inches it is. We will also collect your name, anglers name, shipping information, etc as well as take a deposit. It’s that simple. Example – How much is a fish going to cost to get a replica made? 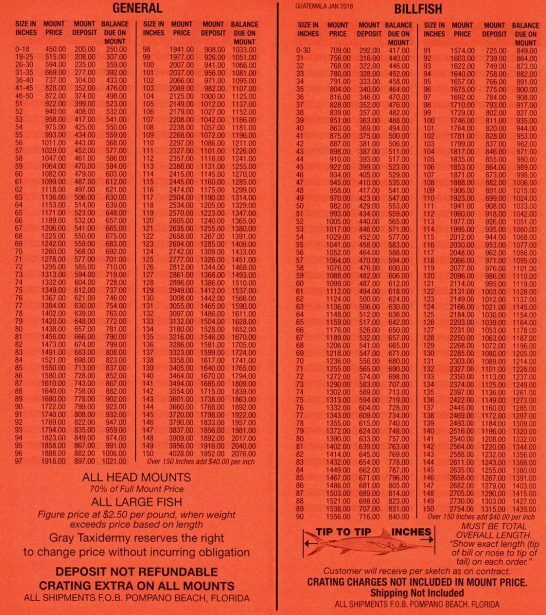 Using the price sheet below, A giant red snapper that is 36 inches, the mount price is $737.00 retail price. 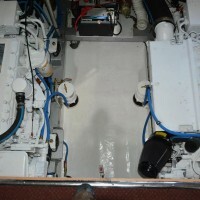 This price includes a deposit of $304.00 and a final price owed to Gray’s of $433.00. If you were to take the $433.00 balance due on the fish mount, plus the $304.00 deposit you paid, you come up with the $737.00 retail price. How much is a fish going to cost if we let Distraction Charters handle the order? We charge a flat fee of $100 deposit, no matter what the length is. For instance, If you caught a 36″ red snapper like mentioned above, we would charge you $100.00 and we would take a credit card number at our boat and run it for that amount. You would then owe Gray’s Taxidermy $433.00 for the balance due. Your maximum out of pocket when you use us, is merely $533.00 instead of 737.00 mentioned above. We actually save you $204.00. Shipping is extra and you have to make those arrangements with Gray’s yourself on any order. We charge a flat fee of $100 per deposit on any fish you want to have mounted. This will save you a lot of money. The rates listed are from Gray’s Taxidermy. The deposit is what we will collect from you. However, we have the authority to discount the deposit you pay to a low price or a flat fee, in order to help you save some money. If you have a fish you want to have mounted, please come see us. We will gladly take your order and help you save some money.